Getting an extension lead allows you to plug in more appliances and devices. Whether you are looking for any kind of extension lead, you are sure to find something right within your budget. Voucher codes that can give you big savings are offered by various popular UK retailers including Amazon, Wilko, and Tesco. Check out the special offers of popular UK retailers and see which deals are the most affordable and reasonable for you. Extension lead voucher codes that can give you big savings are offered by different kinds of popular UK retailers. 5 Metre 4 Socket Surge Protected Extension Lead Reduced from £12.99 to £5.99! Masterplug 4 Socket 1 Metre Extension Lead Reduced from £2.99 to £5.49! What is an Extension Lead? Get big savings on extension lead with the help of Latest Deals! An extension cord, power extender, drop cord, or extension lead is a length of flexible electrical power cable (flex) with a plug on one end and one or more sockets on the other end (usually of the same type as the plug). The term usually refers to mains (household AC) extensions but is also used to refer to extensions for other types of cabling. If the plug and power outlet are of different types, the term "adapter cord" may be used. Most extension cords range from around two to thirty feet in length although they are made up to 300 feet in length. Check the current rating of the extension lead. Before plugging any appliances into it, make sure you know what’s the rating. Most leads are 13A rated or less, and you need to know it! Know the total current rating and wattage of the plugged-in appliances. Before you plug in and use the appliances in an extension lead or socket, make sure you know the total current rating (the amperage) and wattage of those appliances. The total current rating cannot exceed the maximum current rating of the lead, and the wattage cannot exceed 3000W. Otherwise, the plug in the wall socket can overheat and possibly cause a fire. Use only one extension lead per socket. It may sound stupid, but some people plug in an extension lead into an extension lead. Use only one extension lead per socket, otherwise the risk of overloading the wall socket and the extension lead plugged into it! If possible, don’t use a block adaptor but a multiway bar extension lead. Many of the block adaptors (those blocks of plastic with many sockets on them) are not very safe, do not have a fuse, and are not recommended to be used. They increase the risk of overloading and fire, so, if possible, use a multi-way extension lead. Install more sockets if needed. If you regularly need to use an extension lead in a certain area of your house, it is recommended that you contact a registered electrician to install an extra double socket in that area. While he’s at your place, why don’t you ask him to check your installation and your sockets as well? Regularly check for danger signs. This include smell of hot plastic (melting sockets or appliances), sparks or scorch marks around a socket / plug / appliance, damaged or frayed leads, coloured wire from inside leads showing at the plug, fuses that keep blowing for no obvious reason, etc. Anything that is suspicious or out of the ordinary when an extension lead is used should be an alert for possible trouble! There are plenty of ways to save on your purchases online. 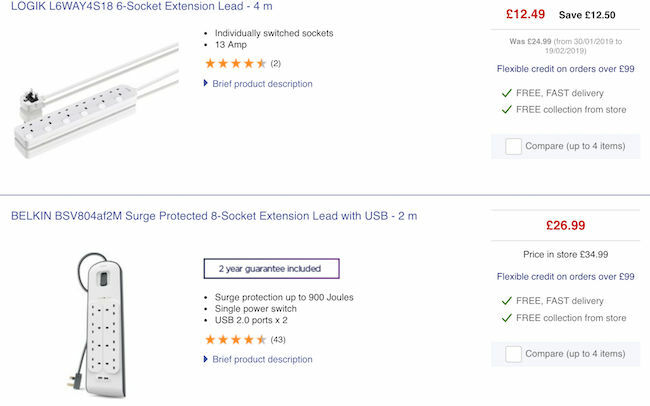 Most online UK shops such as Wilko, Currys, and Amazon have regular sales, seasonal clearance, and flash sales where you can get up to 60% off on a wide array of coloured extension lead, extension lead with switch, and outdoor extension cable.There are even retailers that have 3 for 2 and 2 for 1 offers on select items. Also, the best time to get huge savings is during Black Friday, Cyber Monday, and Boxing Day where an extensive selection of products like 3M extension lead, extension reel, and extension cable reel from your favourite UK retailers are reduced to clear. Knowing when and where to look for the lowest possible price on extension leads is the key here. 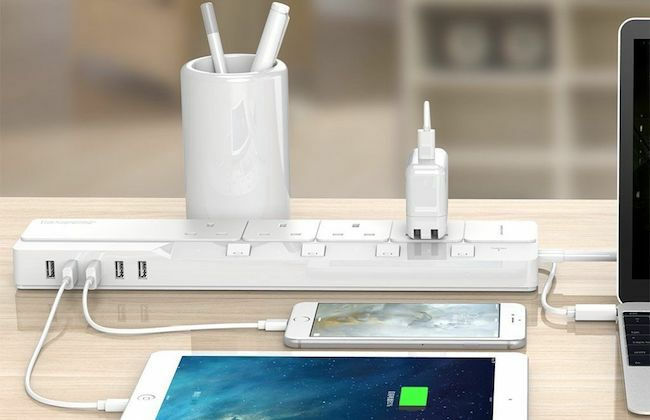 Fortunately, you don't have to spend hours online searching for extension lead Argos special offers, bargain deals, and price drops on black extension lead, grey extension lead, and more. Our massive community of bargain hunters regularly share verified discounts, promos, and voucher codes from Lidl, Screwfix, Wickes, eBay, and from other reputable shops across the country. We also have a team of money-saving experts who always share essential tips and tricks on how you can get every day low prices on 5m to 50m extension lead when shopping both online and instore. Getting additional money off with the help of Latest Deals is easy. 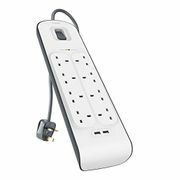 You can maximise your savings by simply using the latest extension lead discount code of your choice upon check out. There are also voucher codes that can provide you with free shipping and gifts. The special offers we have here are available for a limited time only, so once you spot a deal you love, grab it right away. Do not forget to bookmark this page and never miss out on fantastic offers and amazing savings everytime you shop!